Power Automedia named Lloyd Hunt national sales manager and Jeff Jacques business development director. Hunt’s career at Power Automedia began in 2007, when he was hired as publisher. In his new role, Hunt will help lead all business relationships at Power Automedia. Jacques also brings a wealth of sales and account management knowledge with him. AirPro Diagnostics announced the hiring of Frank LaViola as senior sales and marketing consultant. LaViola brings with him more than 25 years of experience in the collision-repair industry, working nationally with quality repairers, OEMs and other vendors in relationship development, performance reporting and development of industry KPIs. Dayco appointed Mike McTeer its director of business strategy for the U.S. aftermarket. McTeer will be responsible for developing target market strategies and sales associate development. McTeer brings more than 25 years of experience in the automotive aftermarket, having worked at O’Reilly Auto Parts, AutoZone, Factory Motor Parts and Federal-Mogul Motorparts. Lubrication Specialties Inc. contributed $5,950 to the Breast Cancer Research Foundation. In support of breast cancer research, Lubrication Specialties Inc., manufacturer of Hot Shot’s Secret performance fuel and oil additives and Adrenaline race oil, announced a contribution of $5,950 to the Breast Cancer Research Foundation. The funds were raised throughout the NHRDA race season through a special promotion sponsored by Hot Shot’s Secret. The promotion awarded funds to Amalee Mueller’s Save the Racks charity for each successful pass made in either of Mueller’s two Save the Racks-themed trucks driven throughout the 2018 race season. AudioControl, makers of innovative high-performance audio solutions for the residential, commercial and automotive markets, appointed Trent Partners & Associates (TPA) as the company's independent sales representation for mobile audio products in the New York and New England regions, effective immediately. TPA covers the New York/New England region with a team of seven sales reps on the road. TPA represents an array of significant 12-volt manufacturers throughout the region and has established relationships with car audio sales and installation specialists that bring great sound to consumers. Mahle is taking over the transmission specialist ZG-Zahnräder und Getriebe GmbH based in Eching, near Munich, Germany. It has been mutually agreed that the details of the agreement and the purchase price will not be disclosed. Through the acquisition, Mahle is expanding its expertise in the powertrain as a whole to include the transmission—a key component. This strategic move puts Mahle in a position to offer its customers integrated systems solutions for the powertrain from a single source, including transmission design. Delphi Technologies PLC has appointed Richard “Rick” Dauch as the company’s new CEO. Dauch also will join the company’s board of directors. He succeeds Hari Nair, who has been serving as interim CEO since October 5, 2018. Dauch is a proven executive in the automotive and commercial vehicle industries with extensive operational, commercial and P&L experience. Since February 2011, he has been serving as the president and CEO of Accuride Corp., a supplier of wheel end systems to the global commercial vehicle industry. 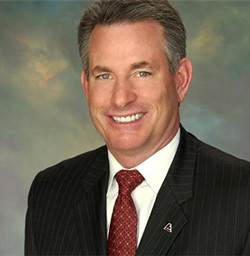 Previously, Dauch was president and CEO of Acument Global Technologies. He joined Acument following a 13-year career with American Axle and Manufacturing, where he last served as executive vice president of worldwide manufacturing for the global automotive supplier of driveline, drivetrain and chassis systems. Sparta Evolution announced the hiring of Mark Joseph as chief operations officer. He has been in the performance automotive aftermarket industry for 26 years, all of which were spent with DBA (Disc Brakes Australia), the company that his late father, Oscar Joseph, founded in the ’70s. In his new position with Sparta Evolution, he will concentrate on all aspects of running the business, which will include the oversight of accounting, engineering, logistics, manufacturing, operations, purchasing, quality and research and development. Covercraft announced the promotion of Noemi Gutierrez to the new position of general manager for special markets. In her expanded leadership role, Gutierrez will be responsible for the development and management of Covercraft’s OEM, specialty and private-label business. Gutierrez began her career at Covercraft as an order clerk in 1994 and has ascended the ranks of the company to her present position. Penray Inc. received a special recognition award from the Aftermarket Auto Parts Alliance for consistently exceptional order fulfillment throughout the year. Penray supplies the Parts Master and Perfect Stop brands as well as Penray-branded products that, combined, include nearly 100 different chemicals, treatments, cleaners and additives. The award was presented in recognition of Penray’s record throughout 2018 as having consistently provided order fulfillment in excess of 98% for all of the products and product lines listed above. Wheeler Bros. Inc. is the newest company to join the Vipar Heavy Duty network of distributors as a stockholder. Located in Somerset, Pennsylvania, Wheeler Bros. Inc. supplies vehicle parts to the Department of Defense, the U.S. Postal Service, and commercial fleets in Western Pennsylvania. The company was started in 1960 as a small engine repair shop and has grown into an automotive engineering and parts distribution company with more than 250 employees.